This feature is available on our 2.5.0 release. Yclas allows your users to accept PayPal payments from their ads. For that, the user’s email is used as PayPal email address. Add an extra field on the Publish New form. Add an extra field on the Users Registration form. If you don’t use any of the above ways, then user’s email will be used as PayPal email address. 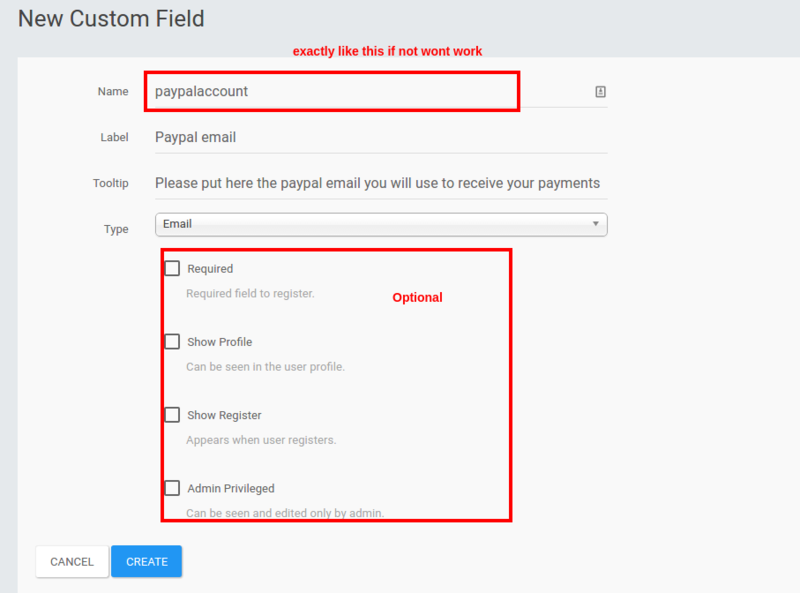 If you add an extra field on the Publish New form, this email address will be used as PayPal email address. If you add an extra field on the Users Registration form, this email address will be used as PayPal email address. If you use both ways, then email address on Publish New will be used as PayPal email address. (Important!) On the field Name enter paypalaccount. Remember, it’s very important to name this field paypalaccount! Now, when users are publishing a new ad, they will see this new field to enter the PayPal email address that will be used to get paid from this ad. On the user registration form, users will see this new field to enter their PayPal email address that will be used to get paid from their ads.